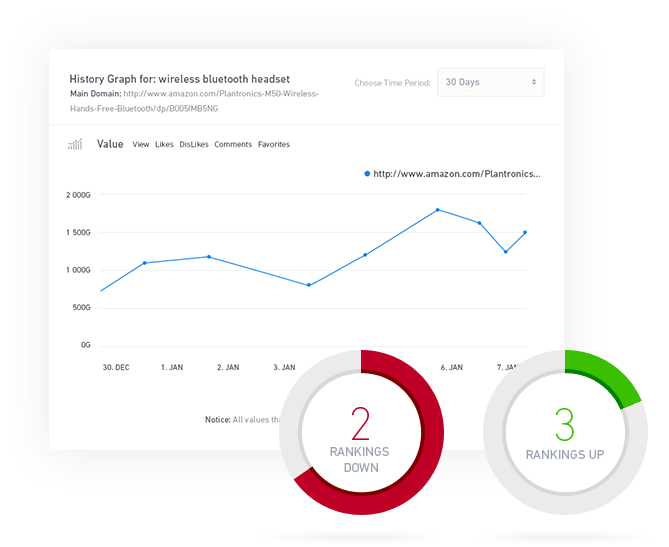 Find who your top competitors are, what factors influence their rankings and how hard it would be to outrank them, in just a few minutes...With Keyword Analyzer, you can easily find what keywords you can rank for and avoid overly competitive niches. Keyword research is of paramount importance. In fact, it could well be the most important aspect when it comes to ranking. That's why we created our very own advanced keyword research tool to ensure you get the top keywords for your campaigns. Instantly see what version of the site is stronger (with or without www.) 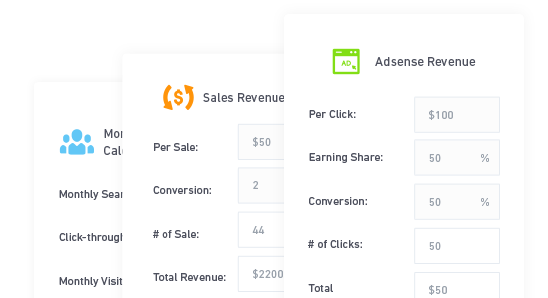 and see all the metrics that matter in one quick overview. Deep dive into the backlinks of the site for the full picture. This one tool alone is worth more than the small amount you pay for complete SERPed suite. Your backlinks problem is now solved. This neat little tool is the easy way to get new sites and networks, fast. Just set the parameters and the tool does the rest for you. 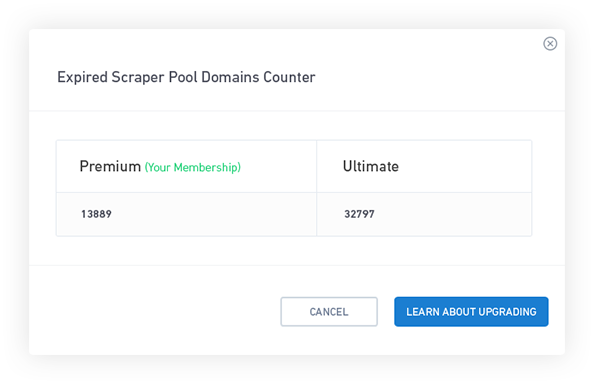 Get the updates delivered straight to your inbox when new domains meet your criteria. Use the others tools to explore them and snap up the ones you see value in. Backlinks are the fuel to your SEO fire and being able to track them is paramount to your success. 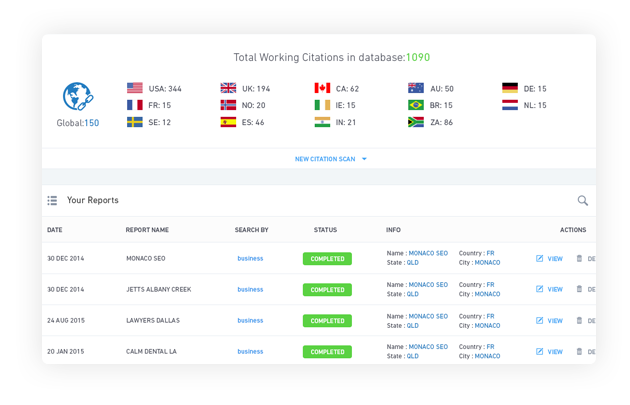 Introducing the easiest way available to monitor and manage your backlinks in real-time. It puts you in the driver’s seat of your link building journey. It also monitors the backlinks health and notifies you if anything changes. Schedule the report sharing frequency once and then leave it to us. The tool will send the reports to clients on your behalf. Keep your customers coming back for more with these advanced and in-depth reports. They’re neat, customizable and easy to understand. What's even better, they are 100% white labeled with your brand. You can create them in just a few clicks! 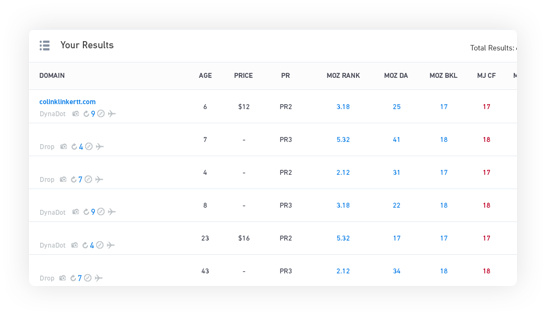 What makes SERPed the best rank tracking tool available is it's incredible attention to detail. Developed for the busy SEOs, it focuses on better rankings with less hassle. Integrated seamlessly with the site management tools, it pinpoints where you rank - and why - to an exact postcode if you choose. You can see where you rank for your keywords in multiple countries. 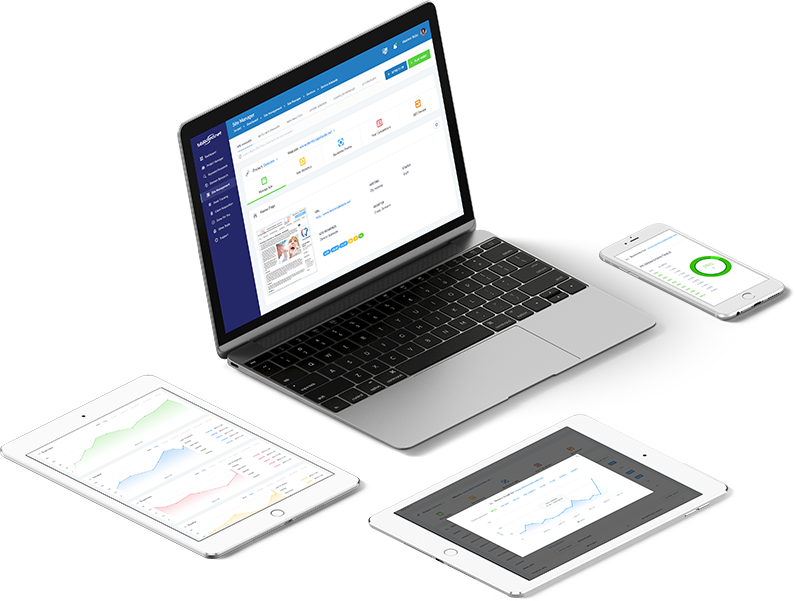 It gives you or your clients the ability to see the results in real-time as well as generate powerful white label reports. The tracking doesn't stop at the oldschool search engines either. 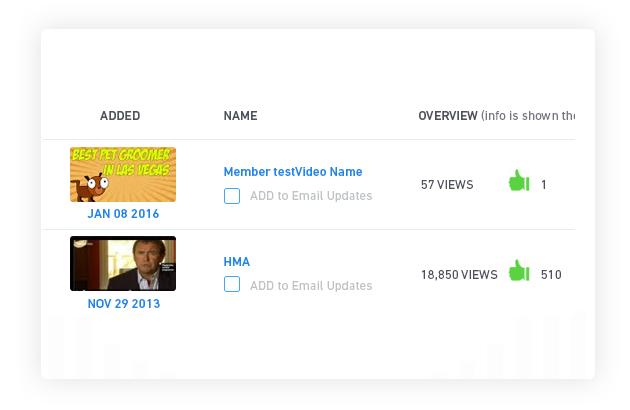 If you’re reliant on traffic and income from YouTube, you will LOVE this tool. Get ready to unleash a whole new world of opportunities. The YouTube tracker reveals where you rank. It also uncovers where you stand against the competition. Get valuable insights on how to compete and overtake the competition for video views, clicks and income. The Amazon tracker gives you backstage access to world's largest shopping search engine. See the top 100 products in your niche, your keywords, and monitor the progress as it happens. Learn about what works, and what doesn't to boost you or your client's sales and revenue. 1. Do the bulk prospecting in minutes. 2. Generate amazing white label reports with “before and after” images of their sites on a mobile device. It also shows their website score and where they are failing. 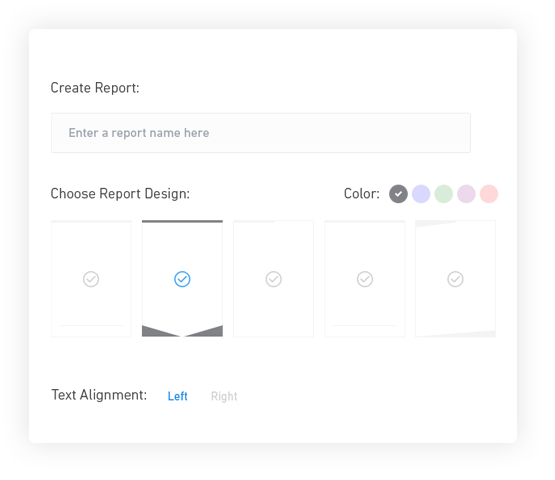 You can brand these reports with your company logo and details. This way they reach out to you, begging for your help. The most advanced ‘lead grabber’ is available for you to add on your site with a simple line of code. Not comfortable with word ‘code’? Don’t worry; we have a simple WP plugin to get you up and running fast. Start providing in-depth site audits to your prospects and capture their details in seconds. 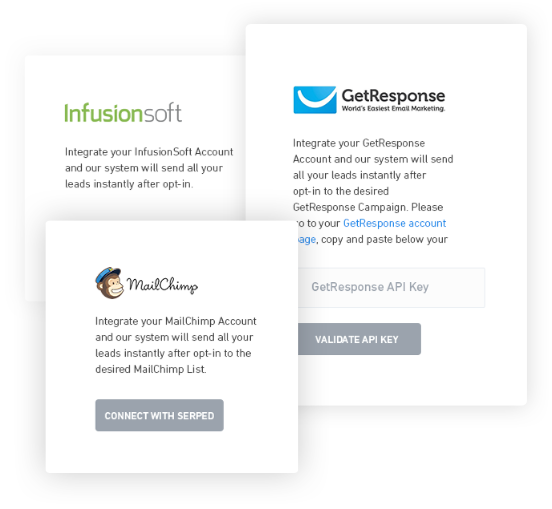 Integrations are also available for your 3rd party responder tools. Auto-add all your new interested leads in a mailing list and convert them into clients. 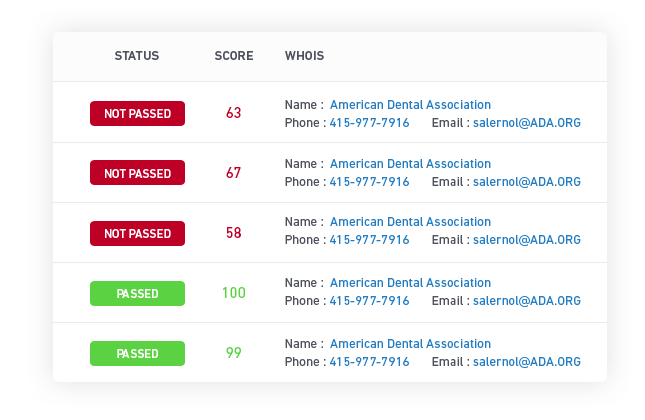 You know who needs your SEO services - People with failing on-site SEO scores. 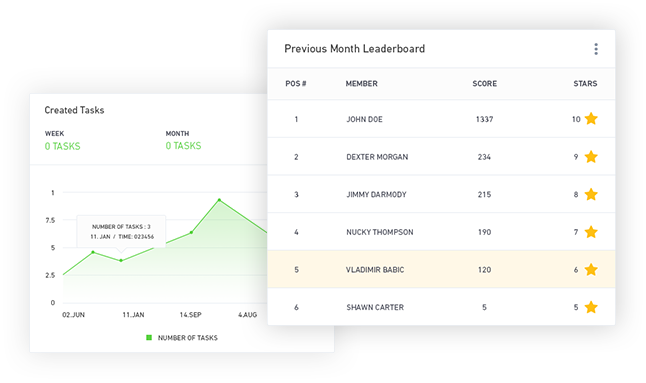 This tool delivers potential customer leads right to your inbox. Just focus on telling them all about how you can prepare them for the future. You can thank us later. Brand the reports with your logo and share them with your clients. Make your services look head and shoulders above the rest and charge more to your customers. 3. Watch your audience grow in front of your eyes. A truly ‘members help members’ tool. Use this marketplace to ‘outsource’ your SEO tasks. Supremely powerful and amazingly successful! Whatever use you can think of with this marketplace, you can do. A simple exchange of credits powers this awesome tool. Another great member only perk! This tool alone covers the monthly investment of your ‘SERPed Suite’, but is nestled away in the ‘other tools’ section. 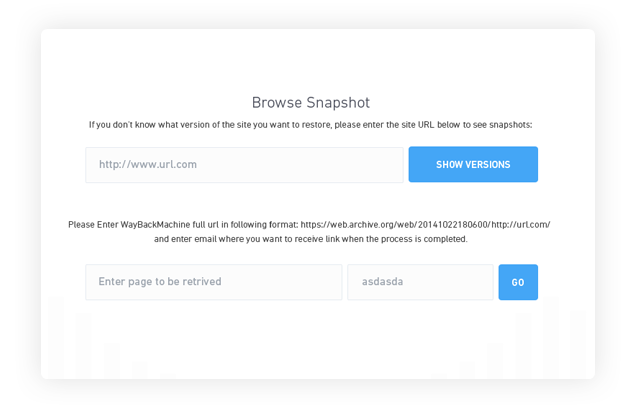 Imagine being able to restore a whole site with a few clicks, then unzip and upload! Without needing to spend money on content, you can have a great looking site, with the same content Google saw the last time they crawled it. Simply add a link back to the sites you are trying to rank within the content. Other services charge $15 per site, with SERPed you save thousands on setting up and adding to your network. SERPed supports multi-user accounts so that you can collaborate and work with your team. With project management features, you can add, manage & assign tasks, check your activity feed, and lots more.  It allows you to send notifications to your team members. You can also add notes to share your opinion with others in the team as well as internal notes for yourself. You can also assign notes to the rank tracker to note when you add new links etc..
Site Management is one of the many functionalities inside SERPed. 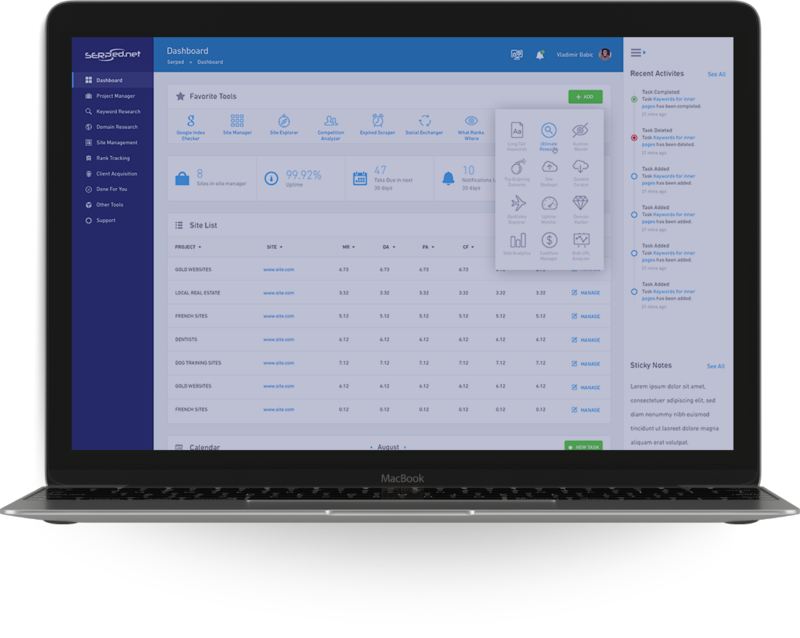 It has advanced tools like site manager, backlinks manager, web analytics, uptime monitor, and others. With Site Manager, you get a detailed SEO review, competitors data and backlinks profile of your site. You can even get page level SEO insight using it. 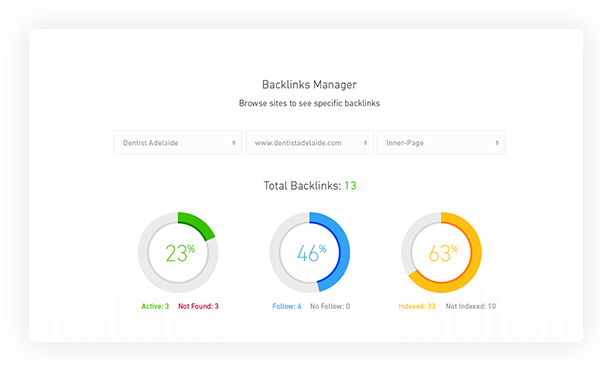 Backlinks Manager tracks your backlinks in real-time. 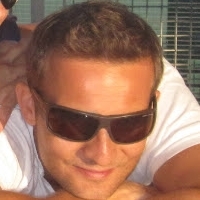 You get details about active links, indexed links, non-indexed links and other backlinks metrics. Web analytics tool gives detailed insights about the key traffic numbers. Track visitors, their activities, and traffic sources to see the growth opportunities. Uptime Monitor tells the uptime and response time of your site. It monitors your site on a daily basis. You can even check the downtime of your site (time of the day and the duration of downtime). Take complete control of your online presence today. The available toolset in SERPed is great and it is wonderful to have all these capabilities under one umbrella application. To top that, the development team is very responsive to requests, and are always looking to add more features and improve on an already great product. Due to the confidence I have in SERPed I've saved money because I've stopped looking at or buying other solutions. It's an absolute privilege to be a member of SERPed: it's wide and diverse array of features make it truly valuable to any person involved in SEO and Internet Marketing. I've never been able to find a service like SERPed before, and I intend to retain my membership; it's something that has become an invaluable resource to me, and I wouldn't want to not have access to it! There are no shortage of good SEO tools out there, but SERPed is the first one I've found that combines all the tools I need to manage my local SEO projects under one dashboard. SERPed helped me quickly organize my project and saved me money on other subscriptions I no longer need to maintain. Great product, awesome community and excellent support. Thanks so much guys!